High performance dual Bath 40°C and 100°C TriVisc Systems replacing existing viscometers. We are the manufacturer and offer factory direct pricing throughout North America. 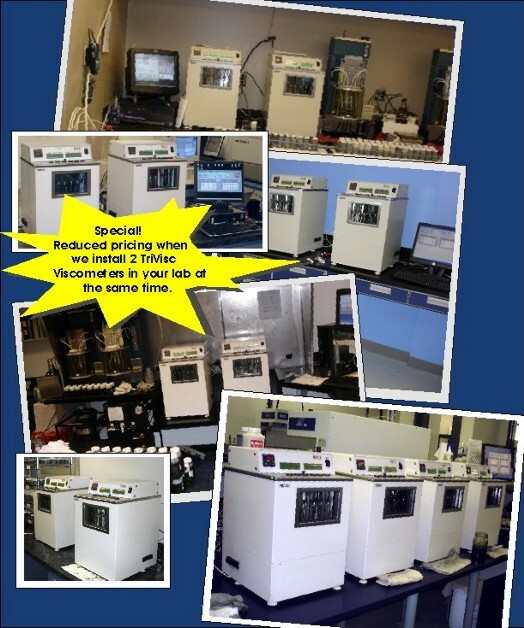 Call us to discuss your laboratory's needs.